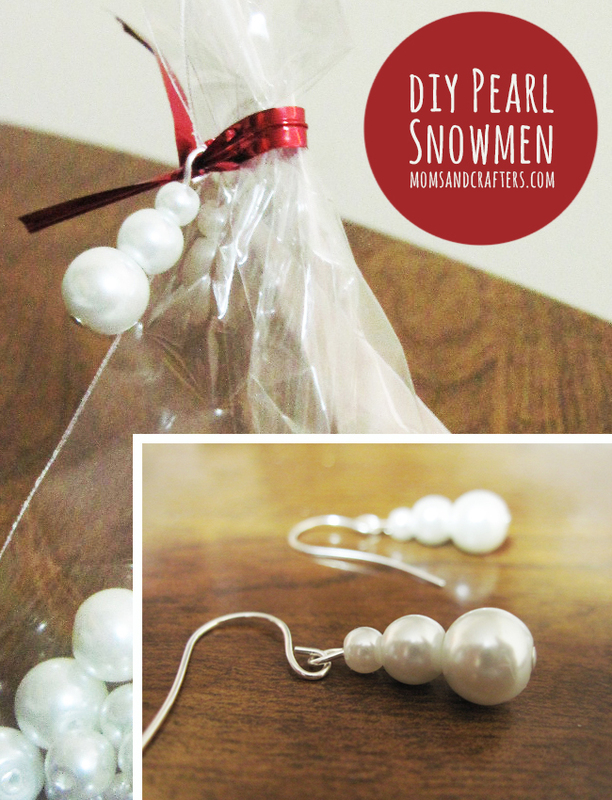 I’ve been making these adorable snowman earrings using glass pearls for years, and I recently started making snowman bag ties as well. It all started when I was studying in Montreal. When the winter arrived, it came with heaps and heaps of snow. I made these simple earrings as a gift for my roommates. 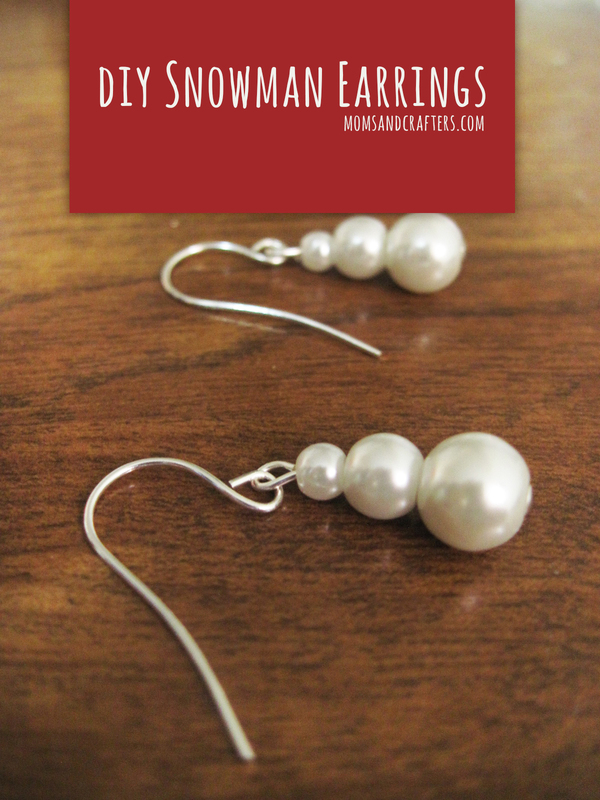 These earrings use only one simple jewelry making technique that is the groundwork for making jewelry. 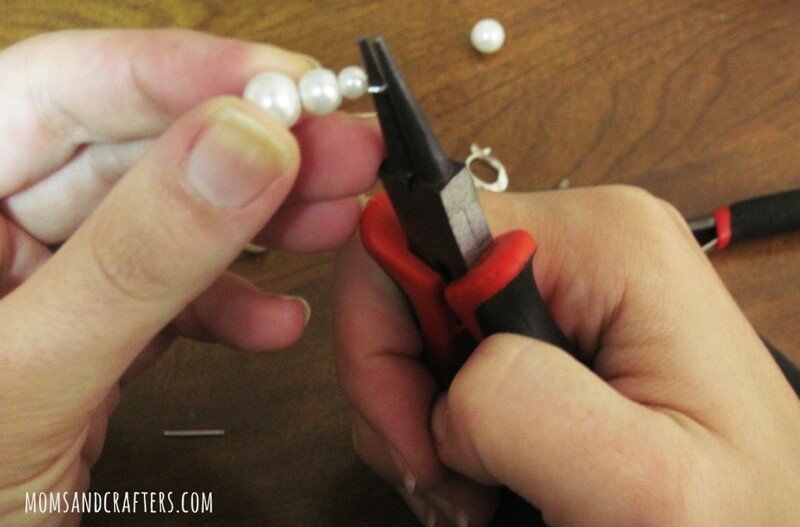 You’ll need this regardless of what type of jewelry you end up making. It’s simple enough for older children to grasp, and it’s so much fun, I love making them too. 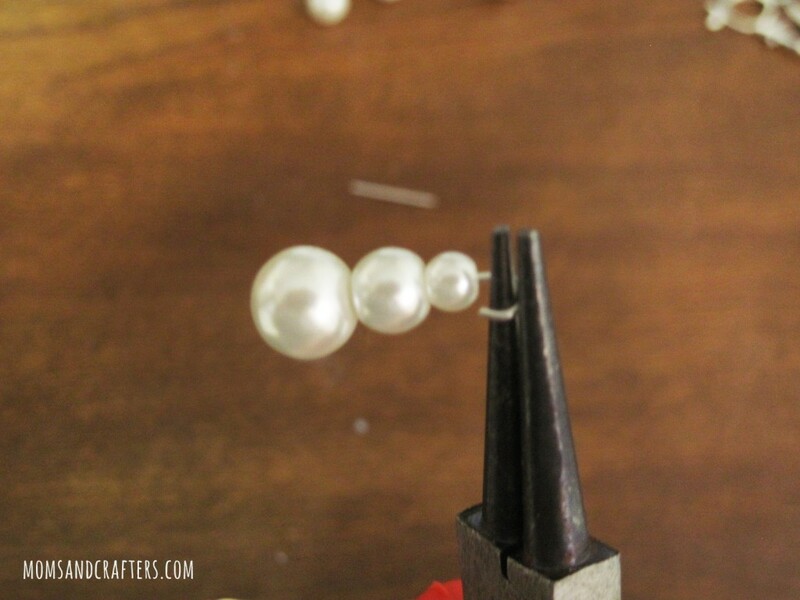 Place three pearls, one in each size on the headpin, starting with the largest at the bottom. 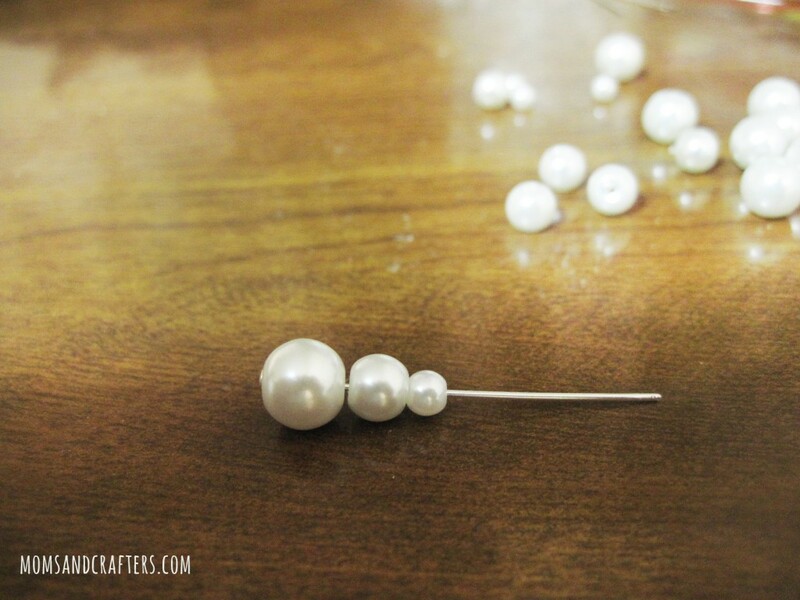 Cut your headpin to size. Usually, a good length for making your loop is 8-10mm. I measure this using a bead in the correct size. 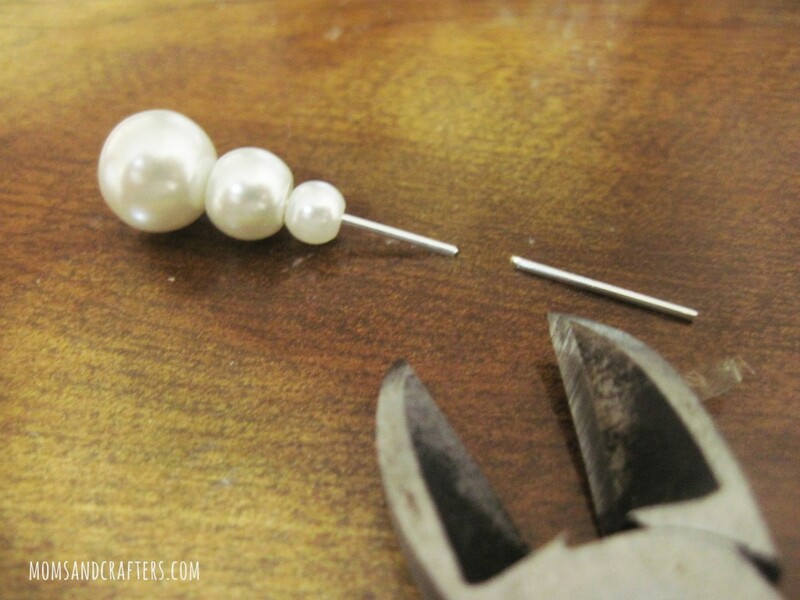 Make your loop by curling the headpin, starting from the tip, around the round nose pliers. Make the loop “hang straight” by re-inserting the round nose pliers into the loop and bending it back. Squash your loop closed using the pliers. Make sure there is no gap. 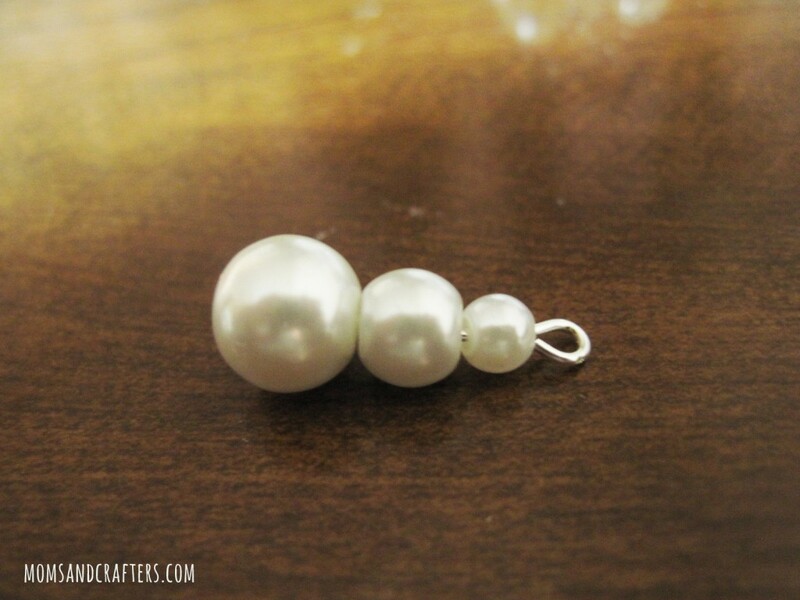 Attach your dangles to your earrings by opening the loops on the earrings. Make sure they are tightly closed after you attach it. If you like it, pin it by hovering over the image below! Goody bag ties (choose a decorative one that fits with your color scheme). Follow the steps above until you reach the part where you add the ear wires. 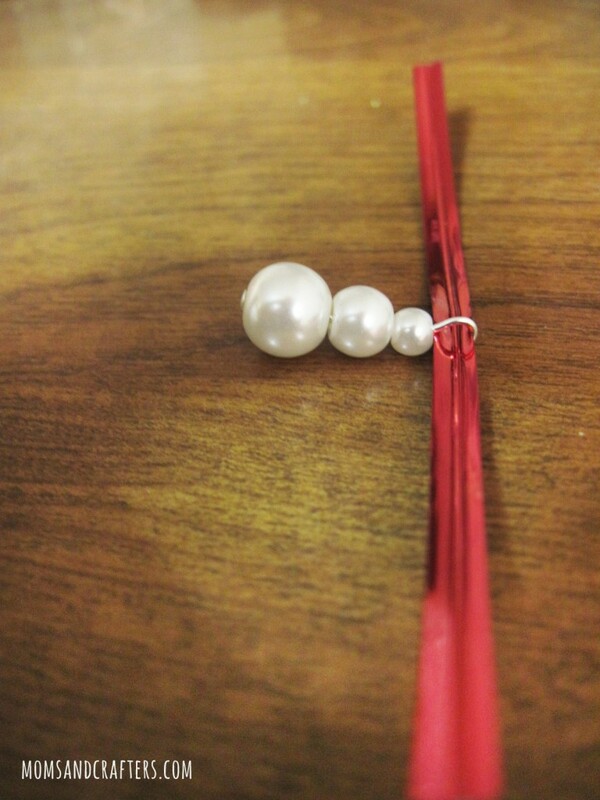 Thread your beaded dangle onto a bag tie, and use it to close your bag! 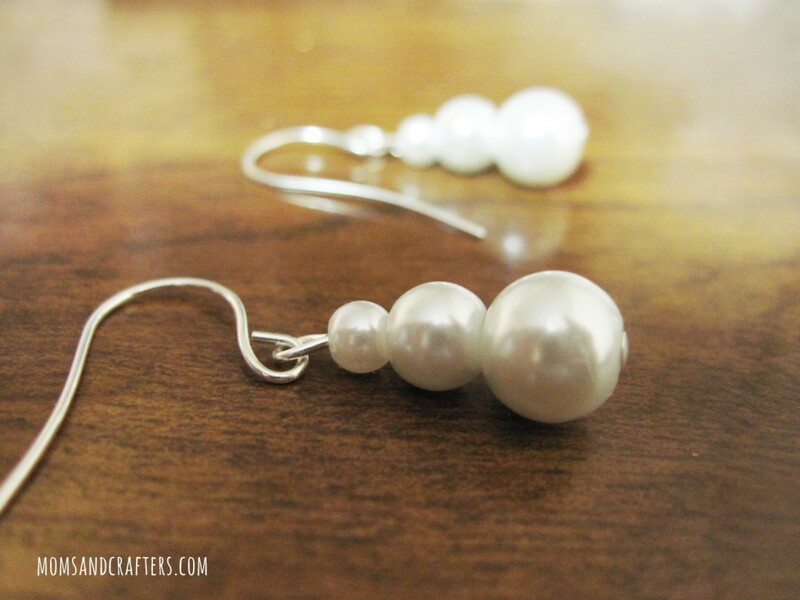 These fun dangles are cheap when you’re making them in quantity, and they only take a moment to put together once you get the hang of it. I’ve provided you with the simplest methods, and I encourage you to take it from there. 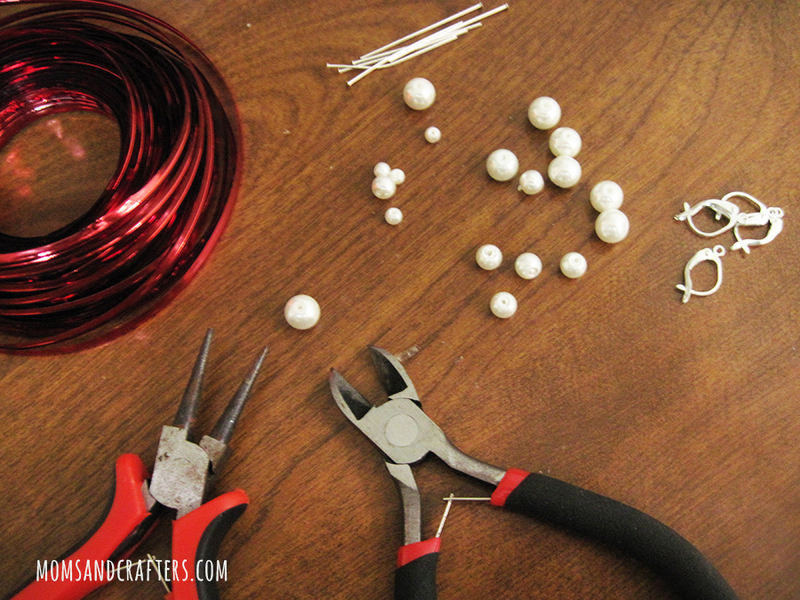 I’m sure you’ll figure out all sorts of ways to embellish these and make them sooo interesting! And don’t forget, once you’ve made them, to post a photo to my facebook page so that I can see what you’ve done! Crafts for kids, Crafts for tweens, Holiday and Seasonal crafts, Jewelry Making Crafts, Quick and easy crafts, Winter crafts. Bookmark. These are adorable!! 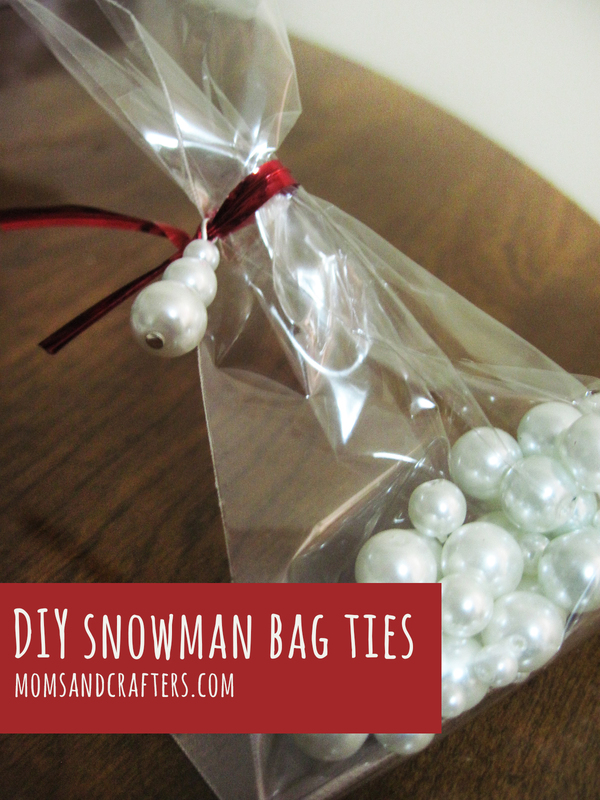 I think I’m going to try to make these with my son and put them on little bags to give as gifts! Thanks for stopping by! Great idea! I love the DIY Snowman Earrings! I’m new to stumble, but found them there. I love this! This would be a great project to do with my girls. Love the bag ties- it adds such a cute touch! This is amazing I love it! Thank you!! Super cute. I don’t “do” jewelry but my husband does. I am gonna share this with him because I would like a pair, lol! Aw! How clever! I like how understated they are! They just the right amount holiday without being too in your face. Cute! great idea, would be beautiful on sewn or crocheted gelt bags too! thanks so much for sharing on craft schooling sunday!